The 10th International Conference on Security, Privacy and Anonymity in Computation, Communication and Storage (SpaCCS 2017), December 12-15, 2017, Guangzhou, China. The 15th IEEE International Symposium on Parallel and Distributed Processing with Applications (ISPA 2017) (CCF "C" Class), December 12-15, 2017, Guangzhou, China. The 16th IEEE International Conference on Ubiquitous Computing and Communications (IUCC 2017), December 12-15, 2017, Guangzhou, China. The 9th International Conference on Security, Privacy and Anonymity in Computation, Communication and Storage (SpaCCS 2016), November 16-18, 2016, Zhangjiajie, China. The 12th International Conference on Information Security Practice and Experience (ISPEC 2016), November 16-18, 2016, Zhangjiajie, China. The 10th International Conference on Asia-Pacific Services Computing (APSCC 2016) , November 16-18, 2016, Zhangjiajie, China. The 8th IEEE International Symposium on UbiSafe Computing (UbiSafe 2016), August 23-26, 2016, Tianjin, China. The 11th International Conference on Information Security Practice and Experience (ISPEC 2015) , May 5-8, 2015, Beijing, China. The 15th International Conference on Algorithms and Architectures for Parallel Processing (ICA3PP 2015) , November 18-20, 2015, Zhangjiajie, China. The 14th IEEE International Conference on Trust, Security and Privacy in Computing and Communications (IEEE TrustCom 2015), August 20-22, 2015, Helsinki, Finland. The 10th International Conference on Information Security Practice and Experience (ISPEC 2014) , May 5-8, 2014, Fuzhou, China. The 13th IEEE International Conference on Trust, Security and Privacy in Computing and Communications (TrustCom 2014), September 24–26, 2014, Beijing, China. The 7th IEEE International Symposium on Security, Privacy and Anonymity in Internet of Things (SpaIoT 2014), September 24–26, 2014, Beijing, China. The 6th IEEE International Symposium on UbiSafe Computing (UbiSafe 2014), September 24–26, 2014, Beijing, China. The 5th IEEE International Workshop on Trust, Security and Privacy for Big Data (TrustData 2014), August 24-27, 2014, Dalian, China. The 9th International Conference on Information Security Practice and Experience (ISPEC 2013) , May 12-14, 2013, Lanzhou, China. The 10th International Conference on Mobile and Ubiquitous Systems: Computing, Networking and Services (MobiQuitous 2013), December 2–4, 2013, Tokyo, Japan. The 15th IEEE International Conference on High Performance Computing and Communications (HPCC 2013), November 13-15, 2013, Zhangjiajie, China. The 11th IEEE/IFIP International Conference on Embedded and Ubiquitous Computing (EUC-13), November 13-15, 2013, Zhangjiajie, China. The 5th International Symposium on Cyberspace Safety and Security (CSS 2013), November 13-15, 2013, Zhangjiajie, China. The 2013 HCF Hunan Computer Conference (HNCC 2013), November 13-15, 2013, Zhangjiajie, China. The 12th IEEE International Conference on Trust, Security and Privacy in Computing and Communications (TrustCom 2013), July 16-18, 2013, Melbourne, Australia. 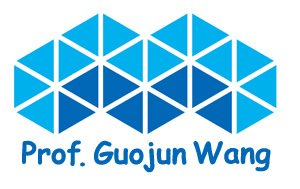 The 7th International Conference on Frontier of Computer Science and Technology (FCST-12), November 21-23, 2012, Suzhou, China. The 12th Internationial Conference on Algorithms and Architectures for Parallel Processing (ICA3PP-12), September 4-7, 2012, Fukuoka, Japan. The 11th IEEE International Conference on Trust, Security and Privacy in Computing and Communications (IEEE TrustCom 2012), June 25-27, 2012, Liverpool, UK. The 10th IEEE International Conference on Trust, Security and Privacy in Computing and Communications (IEEE TrustCom-11), November 16-18, Changsha, China. The 8th IEEE International Conference on Embedded Software and Systems (IEEE ICESS-11), November 16-18, Changsha, China. The 6th International Conference on Frontier of Computer Science and Technology (FCST-11), November 16-18, Changsha, China. The Sixth IEEE/IFIP International Symposium on Trusted Computing and Communications (TrustCom-10), December 11-13, Kowloon, Hong Kong. The Third IEEE International Symposium on Trust, Security and Privacy for Emerging Applications (TSP-10), June 29-July 1, Bradford, UK. The 7th IEEE International Conference on Embedded Software and Systems(ICESS-10 ), June 29-July 1, Bradford, UK.